Why would I need self storage in Davis, CA? There are a variety of reasons why you might need self-storage in Davis, CA. How much is a storage unit in Davis, CA? The cheapest storage unit in Davis, CA is $69.00 per month. What size storage units do you have available in Davis, CA? In Davis, CA we have sizes that range from 5'x5' to 10'x20' to suit your storage needs. How much is it for a 5'x5' storage unit in Davis, CA? The cheapest 5'x5' storage unit in Davis, CA is $69.00 per month. Davis is a flourishing suburb of Sacramento and spans just under 10 square miles. The University of California, Davis is home to a large portion of the city's population. In Davis, you can enjoy arts, culture, entertainment, shopping and dining, as well as easy access to the big-city lifestyle. Before the arrival of European settlers in the area that's now Davis, Puttoy natives inhabited the land. However, the tribe was nearly wiped out by a malaria epidemic in 1833. In the 1850s, settlers started coming and farmers started using the land for livestock and agriculture. Eventually, the railroads came through the area, and in 1868, the town had an official plot and daily railroad service. Davis was officially incorporated in 1917. Davis offers a number of amenities that draw new people to the city. 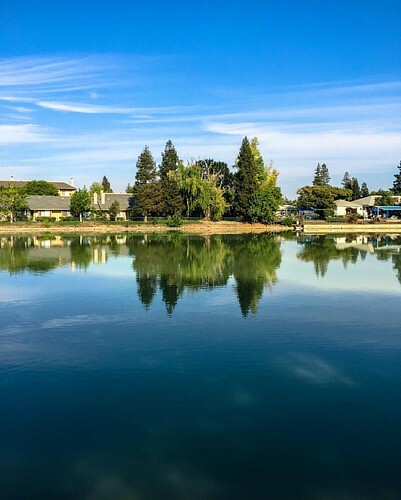 It's only about 15 miles from Sacramento, so you have quick and easy access to the large city. The city hosts a large number of special events and celebrations, which contribute to a tight-knit sense of community. Celebrate Davis is a large gathering with live music, food and special activities. The University of California, Davis also puts together several events for the community, including Picnic Day and the Whole Earth Festival. If you enjoy art, you can take part in the Davis Transmedia Art Walk. The self-guided tour explores the city's numerous murals, public sculptures and local galleries. The unemployment rate in Davis is lower than the national average, so your prospects are good if you're planning on joining the job market. The largest industries in the city include educational services, professional and technical services, retail, and trade. You'll find a number of jobs at the major employers in Davis, including educational institutions, Sutter Davis Hospital and Safeway. The Davis Joint Unified School District manages the public schools in the city. You'll also find several private schools in Davis, including faith-based, Montessori and college prep options. If you're planning to pursue a college education in Davis, the University of California, Davis is the largest campus in the city. There are a handful of other options as well. Utilities: The city manages the water and sewer services. Pacific Gas & Electric is the main energy provider. Garbage and Recycling: Davis Waste Removal provides regular curbside collection of trash, recyclables and green waste. Transportation: Both bus and light rail routes serve Davis and Greater Sacramento, making it easy to get around. Davis is also an extremely bike-friendly city. Pets: If you are bringing a dog to Davis, it's important to know that you must license your pet. Davis also enforces strict leash laws. The median home price in Davis is much higher than the national average, which is fairly standard for most of California. You'll find a variety of housing options to choose from, making it easier to find something that fits your budget and needs. Our lowest priced units in Davis, CA average $69.00 per month. 56 people have reserved units in Davis, CA in the past 30 days. There is 1 location within Davis, CA's city limits.